"The response has been great and very positive." 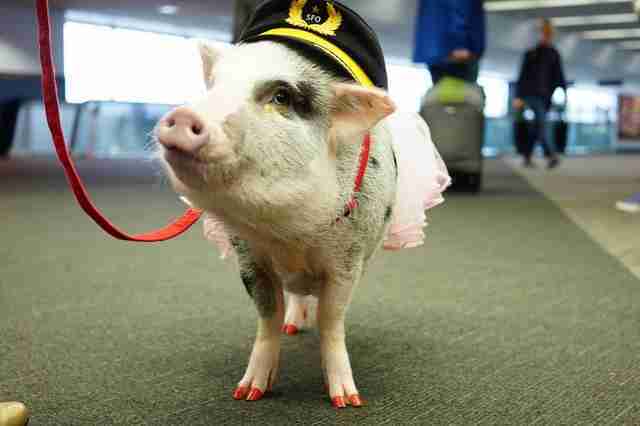 Sure, pigs might not be able to fly themselves (with some exceptions), but this sweet swine is here to make the process a little easier for the those of us who will be taking to the skies. 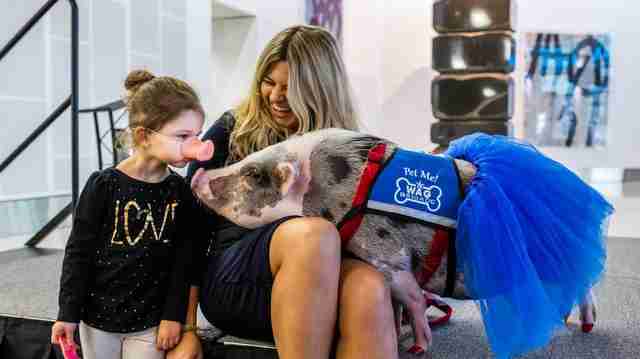 This week, certified therapy pig LiLou landed a job at the San Francisco International Airport (SFO), where her charms will be put to good use. She's joined the facility's friendly troupe of comfort animals, known as the Wag Brigade, who'll be on hand to deliver smiles to countless weary holiday travelers. Petting LiLou isn't only encouraged - it's something she insists on. "The response has been great and very positive," an SFO spokesperson told The Dodo. 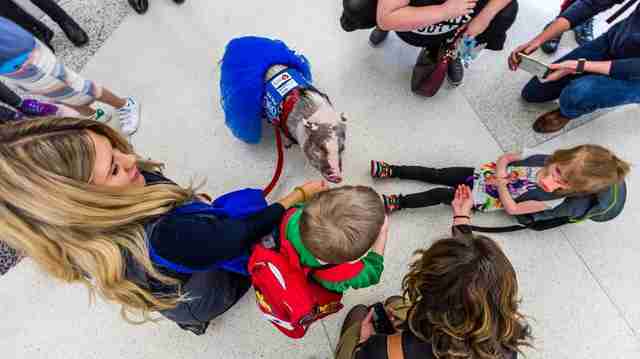 LiLou is believed to be the first airport therapy pig in the United States, but she's sure to fit right in among her mostly canine colleagues. "Since its launch in 2013, the SFO Wag Brigade has become a favorite amenity among travelers," airport official Christopher Birch said in a release. "With the addition of LiLou, we can look forward to more moments of surprise and delight for guests at our airport." When LiLou isn't on the job at SFO, she spends her days making visits throughout the community as part of the San Francisco SPCA's Animal Assisted Therapy program. Fortunately, folks who live outside the area who don't plan on passing through SFO can still bask in LiLou's stubby-nosed glory - by following her on Instagram.